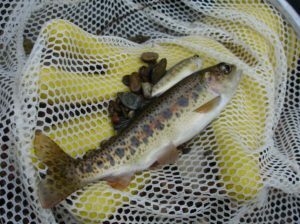 Love to fish for trout and looking forward to fishing in Graham County? Graham County contains one of the very few hatchery supported streams in North Carolina that has a delayed harvest; Big Snowbird Creek. Sports Fishermen come from all over the country to take advantage of this golden opportunity. What exactly is a delayed harvest? Here in North Carolina it refers to a period of time, October 1 through the first Saturday in June, that is one of the most anticipated fishing seasons of the year. Fly fishing is a challenging and fascinating endeavor. The Sports Fisherman attempts to trick the trout into thinking that the carefully constructed fly is actually an insect. The fly is chosen based on what insect is currently emerging and being consumed as food by the trout. The fisherman must also make the fly “behave” as closely as they can to the actual live insect. It is a triumph when the trout goes for the fly and is caught. During delayed harvest, specific bodies of water are ruled as areas that may be fished only with artificial lures with one single hook. No natural bait may be possessed and no trout may be harvested or possessed while fishing these waters between October 1 and the first Saturday in June. This year the date delayed harvesting ends is on June 1, 2019. When trout fisheries are heavily stocked and strict “catch and release” rules are implemented it allows novice fishermen to get out and test their skills in an environment where fish are plentiful and competition from live bait fishermen is nonexistent. Artificial bait is defined as any living or dead organism (plant or animal), or parts thereof or prepared substances designed to attract fish by the sense of taste or smell. This includes not only insects, but corn or bread or even artificial baits that have an attractant in the rubber! 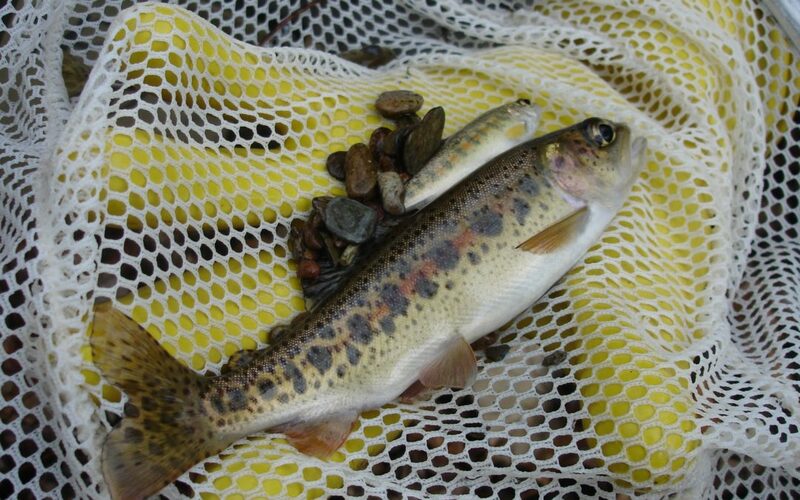 Trout are raised in hatcheries and released on specific dates into all hatchery supported waterways. 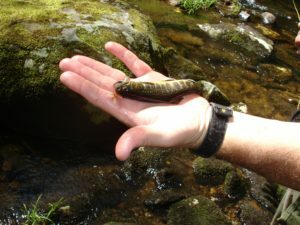 In North Carolina, Commission personnel will stock approximately 930,000 trout – 96 percent of which average 10 inches in length. The other 4 percent exceed 14 inches in length! The delayed-harvest section at Snowbird starts at a foot bridge just above the Junction at the end of Big Snowbird Creek Road and extends about 2.8 miles downstream to a concrete bridge known locally as Chestnut Flat Bridge. On the first Saturday every June, when delayed harvest officially ends for the year, only anglers under the age of 16 can fish between 6 A.M. and 12 P.M. After that, anyone can fish and keep up to 7 fish per day, with no size or bait restriction. Whether you choose to fish in Hatchery supported streams, explore the rugged and enchanting headwater creeks and blue-line for beautiful Brook Trout or prefer fishing in the numerous lakes in Graham County, you can be assured that you will want to return again and again.